Wow! These were spicy. Neither my husband or son could eat them (fortunately I had leftover Beef and Cheese Macaroni in the refrigerator, haha!) but I liked them! 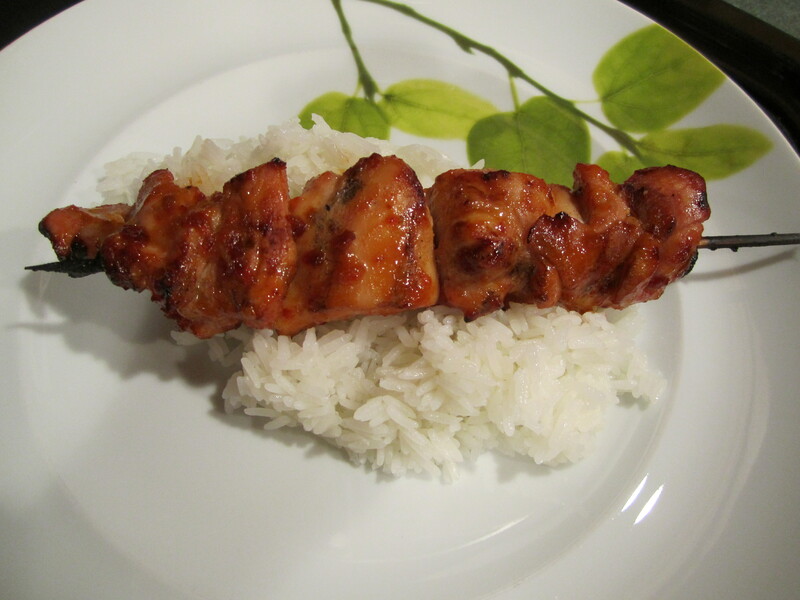 I also thought the technique for cooking them with the marinade was very good and will use it again. I did not add all the chicken to the marinade. I added about a 1/4 cup of the marinade to the chicken and then took the rest of the marinade and cooked it according to their directions. 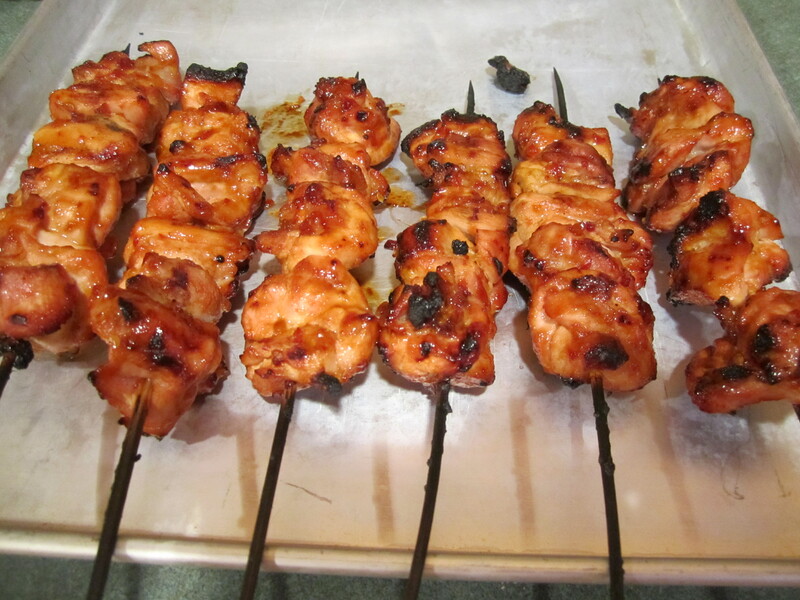 I cut the boneless, skinless chicken thighs into quarters, as evenly as possible. I put 4 quarters on each bamboo stick. The brand of chicken is important too. I believe Perdue has the best product, which is what I used. They are not overly fatty. I set the grill temperature to 3 notches below high. I cooked the chicken for a total of 12 minutes on the grill, turning every 2 minutes and basting. If these seem too spicy, there are comments from readers on the recipe that might be useful in reducing the heat. I also really enjoyed these! Not only were they tasty but they didn’t require hours of marinating. A quick and easy recipe. To cut the spice I added juice from one lime to the marinade and some extra brown sugar. I also have made this with roasted chili paste vs the hot and I think I liked it even better.